A telegraphist, telegrapher, or telegraph operator is an operator who uses a telegraph key to send and receive the Morse code in order to communicate by land lines or radio. 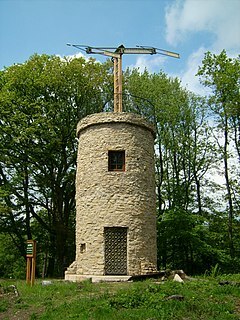 Farncombe, historically Fernecome, is a village and peripheral settlement of Godalming in Waverley, Surrey, England and is approximately 0.8 miles (1.3 km) north-east of the Godalming centre, separated by common land known as the Lammas Lands. The village of Compton lies 1.8 miles (3 km) to the northwest and Bramley 2 miles (3 km) to the east; whilst Charterhouse School is to the west. 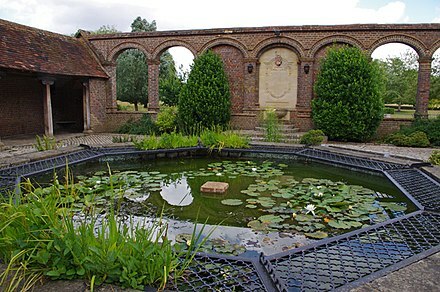 Loseley Park, in the hamlet of Littleton, lies 1 mile (1.6 km) to the north of the village. He finished school in 1902 and began working at the Godalming post office, where he learned telegraphy. He started training to work in wireless for the Marconi Company in March 1906, in Seaforth, and graduated five months later in August. Phillips's first assignment was on the White Star Line ship Teutonic . He later worked on board Cunard's Campania; the Allan Line's Corsican, Pretorian and Victorian; and then Cunard's Lusitania and Mauretania. In May 1908, he was assigned to the Marconi station outside Clifden, Ireland, where he worked until 1911, when he was assigned to the Adriatic and later, in early 1912, to the Oceanic. 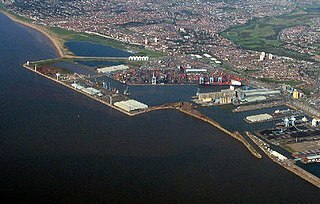 Seaforth is a district in the Metropolitan Borough of Sefton, Merseyside, England. 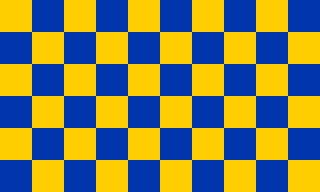 Historically in Lancashire, it is north of Liverpool, between Bootle and Waterloo. In March 1912, Phillips was sent to Belfast, Ireland, to be the senior wireless operator on board the Titanic for her maiden voyage. He was joined by junior wireless operator Harold Bride. 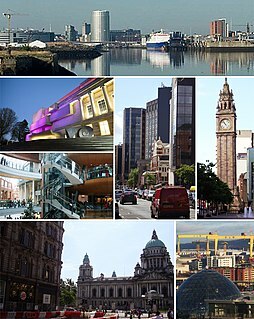 Stories have appeared that Phillips knew Bride before Titanic, but Bride insisted they had never met before Belfast. Titanic sailed for New York City, United States, from Southampton, England, on 10 April 1912, and during the voyage Phillips and Bride transmitted passengers' personal messages and received iceberg warnings and other navigational information from other ships. 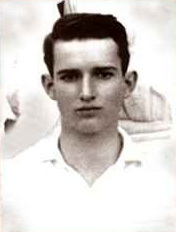 Phillips celebrated his 25th birthday the day after the voyage began. On the evening of 14 April, in the wireless room on the boat deck, Phillips was sending messages to Cape Race, Newfoundland, working to clear a backlog of passengers' personal messages that had accumulated when the wireless had broken down the day before. Bride was asleep in the adjoining cabin, intending to relieve Phillips at midnight, two hours early. Shortly after 9:30 pm, Phillips received an ice warning from the steamship Mesaba reporting a large number of icebergs and an ice field directly in Titanic's path. Phillips acknowledged Mesaba's warning and continued to transmit messages to Cape Race. Mesaba's wireless operator waited for Phillips to report that he had given the report to the bridge, but Phillips continued working Cape Race. The message was one of the most important warnings Titanic received, but it was never delivered to the bridge. 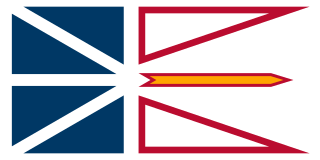 Cape Race is a point of land located at the southeastern tip of the Avalon Peninsula on the island of Newfoundland, in Newfoundland and Labrador, Canada. Its name is thought to come from the original Portuguese name for this cape, "Raso", meaning flat or low-lying. The Cape appeared on early sixteenth century maps as Cabo Raso and its name may derive from a cape of the same name at the mouth of the Tagus River in Portugal. The cape was the location of the Cape Race LORAN-C transmitter until the system was decommissioned in 2010. It is also home to the Cape Race Lighthouse, notable for having received the distress call from Titanic. 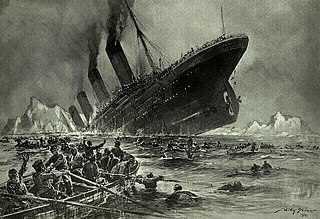 It can be argued that this communication had important consequences: Firstly, Evans was giving a warning of ice, which, if heeded, could have prevented Titanic's sinking. Secondly, Californian was the closest ship to Titanic. As the radio had been switched off by Evans, Phillips had no way of communicating with Californian should Titanic require immediate assistance, which she very soon did. However, others[ who? ] point out that several ice warnings had already been received and communicated to the captain, so he was aware that there was ice in the area, and a lookout had been posted. 1 2 3 4 "John George (Jack) Phillips, (1887 – 1912)". Godalming Museum. Exploring Surrey's Past. 2013. Retrieved 27 March 2017. 1 2 3 "Wireless Man of Titanic Describes Wreck of Vessel". The Washington Times. April 19, 1912. Retrieved 18 May 2015. ↑ Charles Herbert Lightoller (1935) in Chapter 31. "Southampton" (eBook). Titanic and Other Ships. London: Ivor Nicholson and Watson. Retrieved 10 July 2010. 1 2 3 4 Harold Bride, Surviving Wireless Operator of the Titanic (19 April 1912). "THRILLING STORY BY TITANIC'S SURVIVING WIRELESS MAN; Bride Tells How He and Phillips Worked and How He Finished a Stoker Who Tried to Steal Phillips's Life Belt – Ship Sank to Tune of "Autumn"". The New York Times. Retrieved 10 July 2010. ↑ Snopes.com: Titanic First Ship to Use an SOS? ↑ Charles Herbert Lightoller (1935) in Chapter 35. "The Rescue". Titanic and Other Ships. London: Ivor Nicholson and Watson. Retrieved 10 July 2010. ↑ "The Fate of Jack Phillips -George Behe's " Titanic " Tidbits". ↑ "Titanic – In Her Own Words". Discovery. BBC. 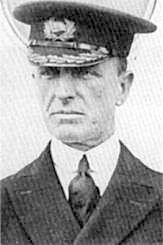 Stanley Phillip Lord was captain of the SS Californian, a ship that was in the vicinity of the RMS Titanic the night it sank on 15 April 1912 but which did not come to its assistance. Captain Joseph Barlow Ranson OBE was a commander of White Star Line liners. He was born in 1864. His marine career began at the age of 14, when he joined the Pacific Steam Navigation Company. He joined the White Star Line in 1891. Sir Arthur Henry Rostron, KBE, RD, RNR was a seagoing officer for the Cunard Line. He is best remembered as the captain of the ocean liner RMS Carpathia, when it rescued hundreds of survivors from the RMS Titanic when the latter ship sank in 1912, after colliding with an iceberg in the middle of the North Atlantic Ocean. Harold Thomas Cottam was a 21-year-old British wireless operator on the RMS Carpathia who fortuitously happened to receive the distress call from the sinking RMS Titanic on 15 April 1912. 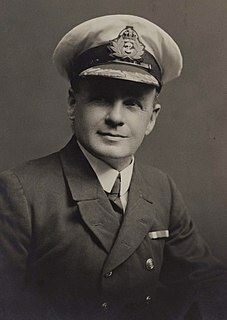 Cottam's decision to awaken Captain Arthur Henry Rostron and relay Titanic's message in spite of the scepticism of the officer on watch allowed Carpathia to arrive at the scene hours before any other ship and is "credited with saving hundreds of lives." The Sinking of the Titanic is a work by British minimalist composer Gavin Bryars. Inspired by the story that the band on the RMS Titanic continued to perform as the ship sank in 1912, it recreates how the music performed by the band would reverberate through the water some time after they ceased performing. Composed between 1969 and 1972, the work is now considered one of the classics of British experimental music. Hyder, Jemma; Inger Sheil. "John George Phillips". On Watch: The Deck Officers and Wireless Operators of the R.M.S. Titanic. Archived from the original on 3 October 2002. Retrieved 25 July 2005. Lane, Allison; Stephenson, Parks. "Mr John George Phillips". Encyclopedia Titanica. Archived from the original on 24 September 2015. Retrieved 25 July 2005. Wikimedia Commons has media related to Jack Phillips .